Owners association levies – “no benefit, no pay”? No way! 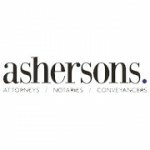 As a member of an Owners Association (“Home Owners Association” if it’s a residential property development), you have almost certainly contracted in your purchase agreement to pay all levies raised by the Association, regardless of whether or not you actually benefit from being part of the development. To illustrate – in a recent High Court case, the owner of an undeveloped plot of land in an upmarket office park was sued by the Office Park Owners Association for some R200,000 in unpaid levies. The Court accepted that he hadn’t benefitted at all from being part of the park (benefits accrued only to developed properties) but nevertheless ordered him to pay the levies in full plus interest and costs on the “attorney and client” scale. He was, held the Court, contractually bound to pay the levies, and could not withhold payment.